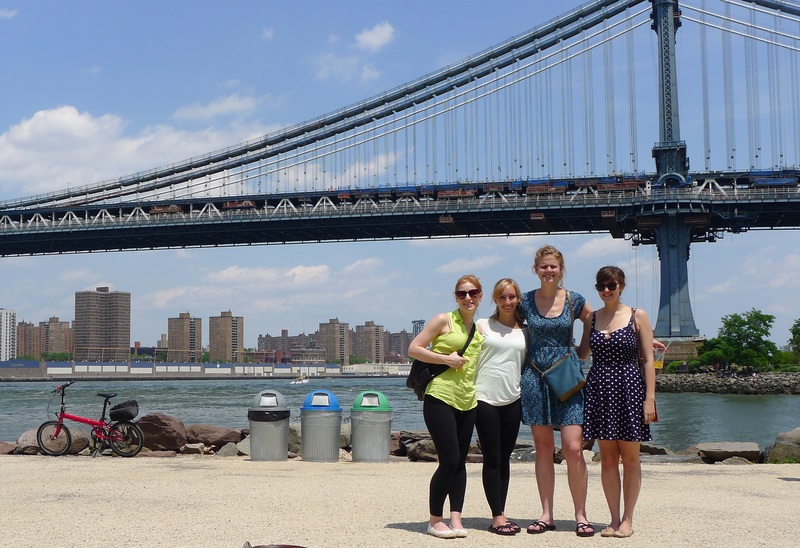 For the last stop of Bree’s New York Bachelorette Weekend, we went to Dumbo. 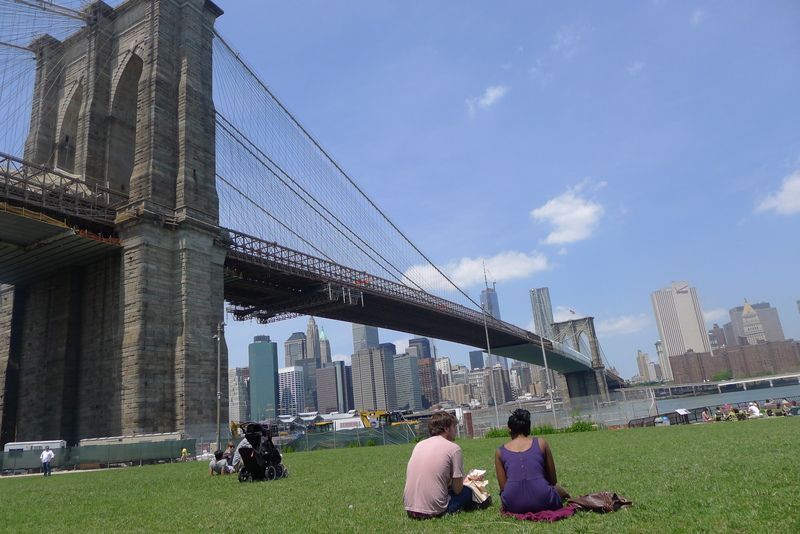 While Smorgasburg visits Williamsburg on a Saturday, on a Sunday it comes to this gorgeous spot across the Brooklyn Bridge. 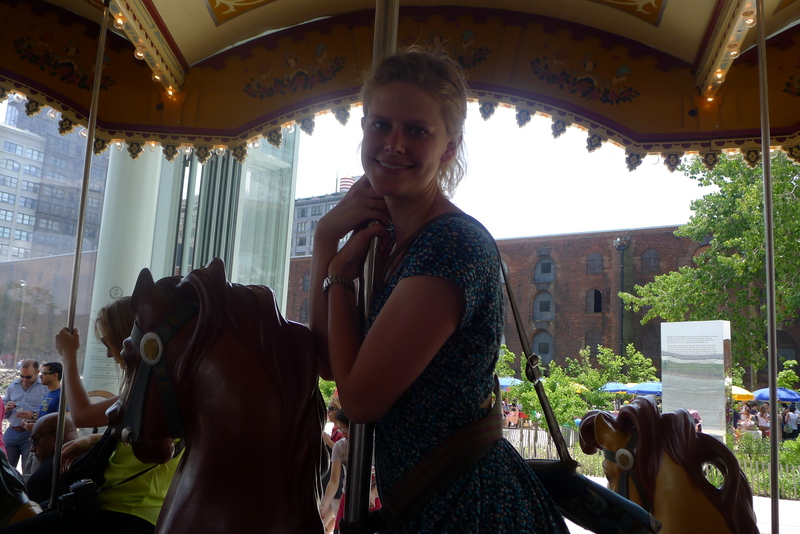 I’ve never been to this neighbourhood before but it’s beautiful – rustic buildings, colourful coffee shops, a beautiful waterfront. 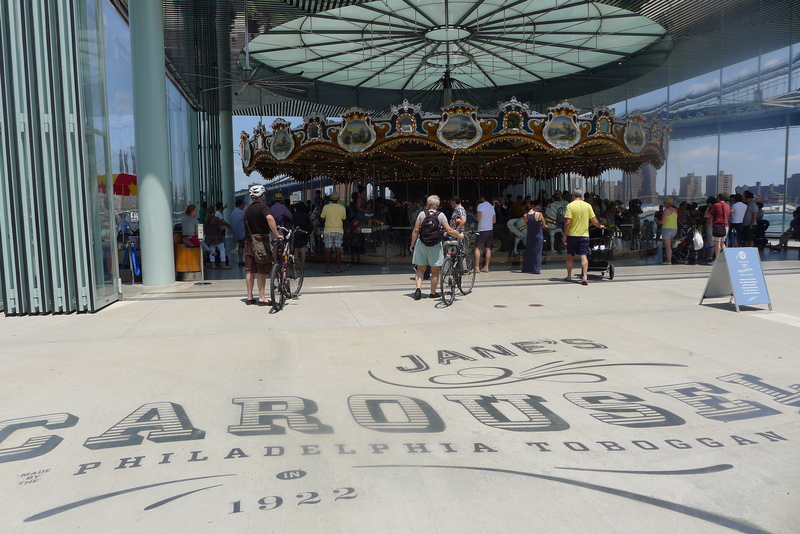 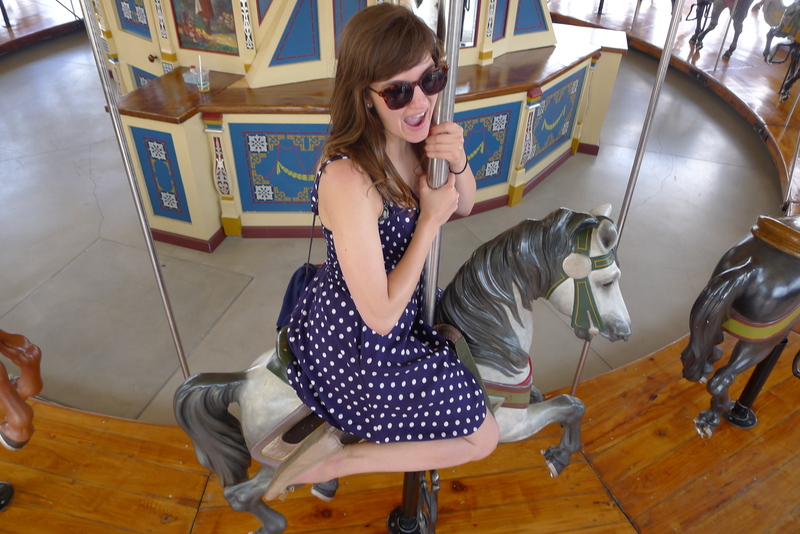 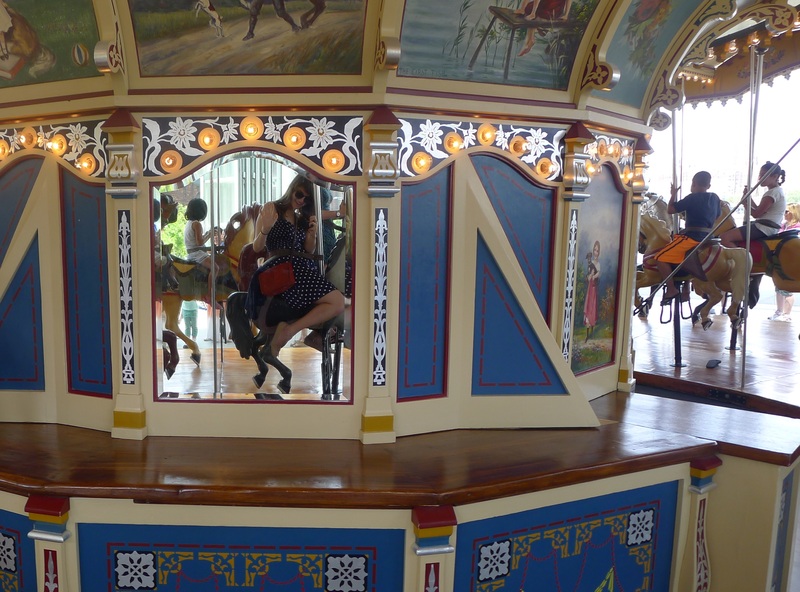 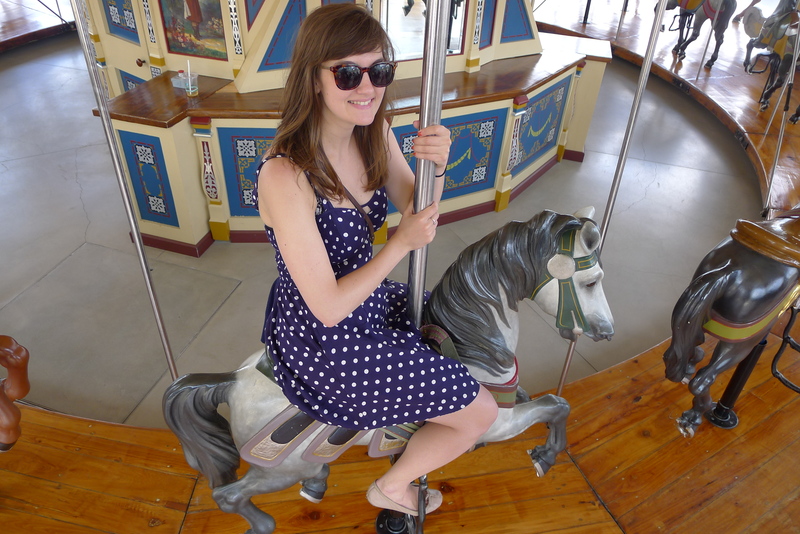 While there, we spotted Jane’s Carousel and decided to give it a whirl. 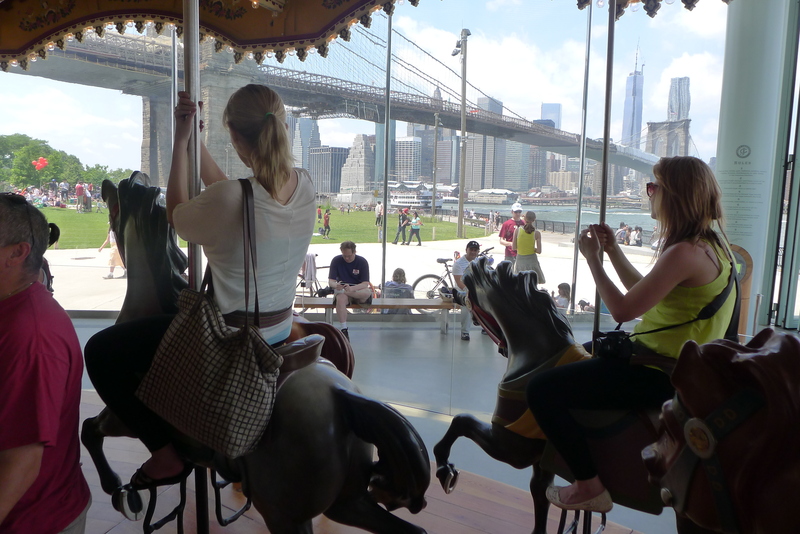 For just $2, we got to join the kiddies on the ponies and pass Manhattan again and again. 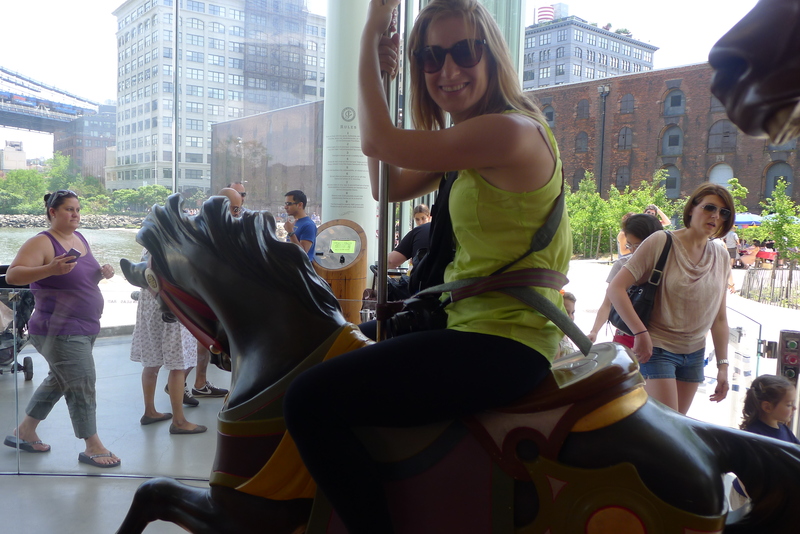 It wasn’t exactly a white knuckle ride (nothing will ever compare to the Cyclone at Coney Island), but it was cute and enjoyed by tiny tots and adults alike. 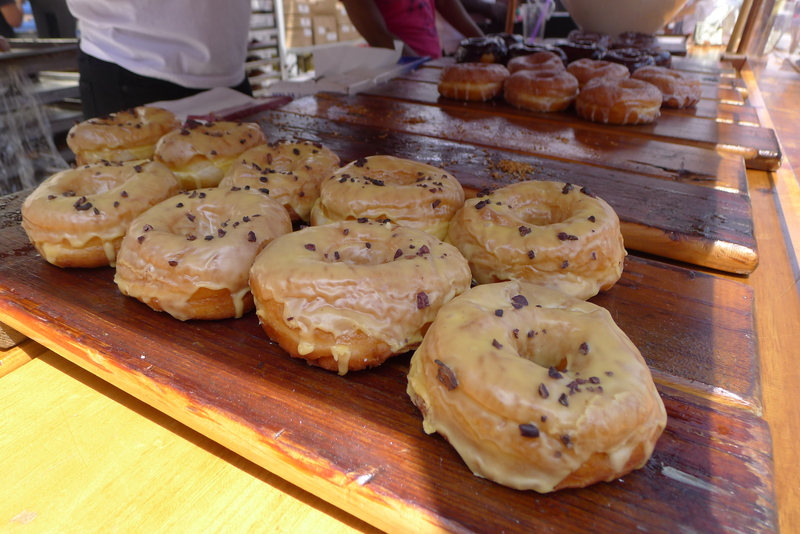 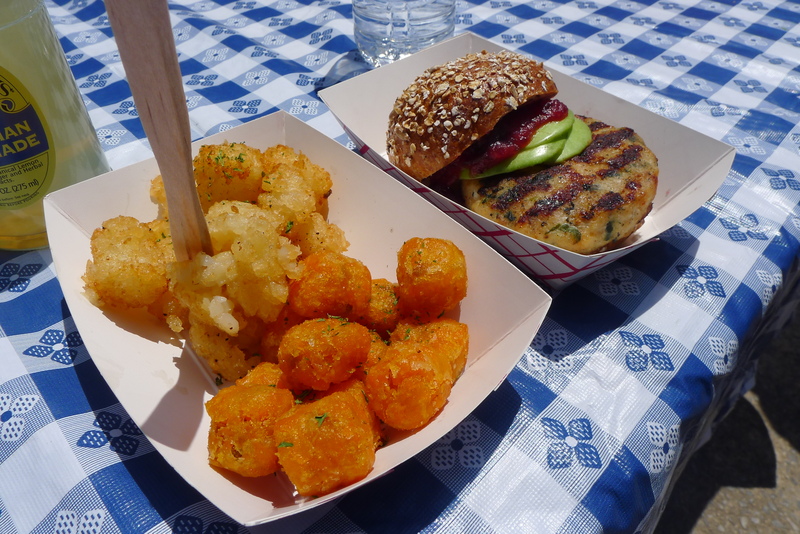 We also went to the Smorgasburg markets which were housed in the Tobacco Warehouse wedged between the Brooklyn and Manhattan bridges. 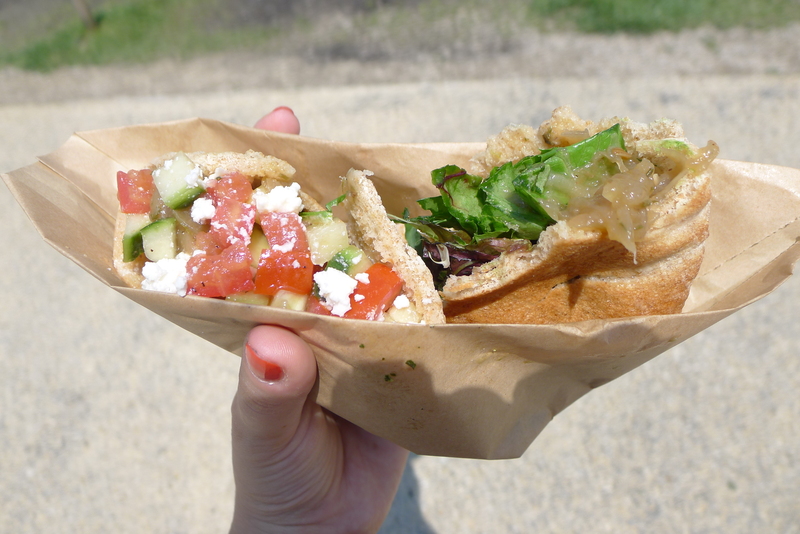 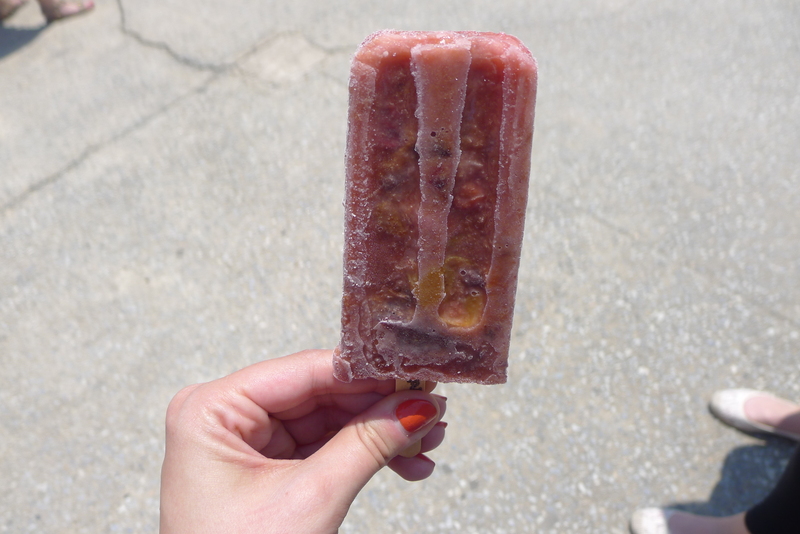 I filled up on quinoa falafel sandwiches and ice lollies crammed with chunks of cherries. 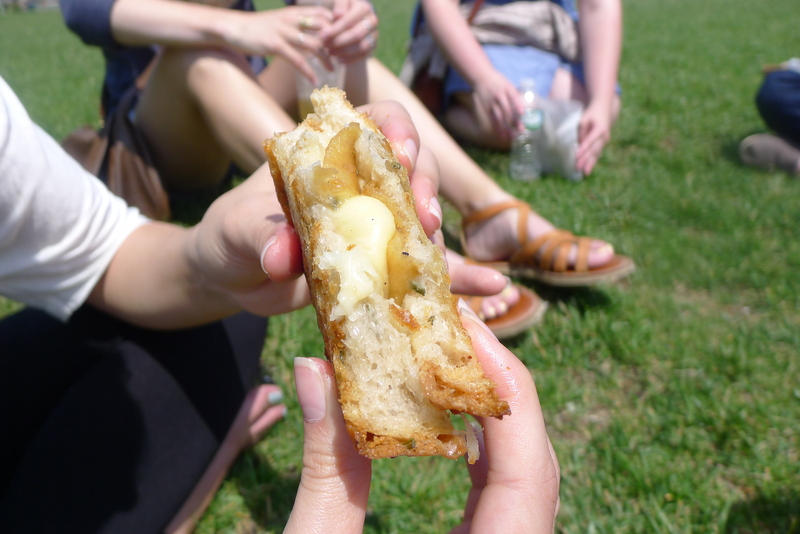 The girls opted for grilled cheeses, and we caught some sun by the waterfront. 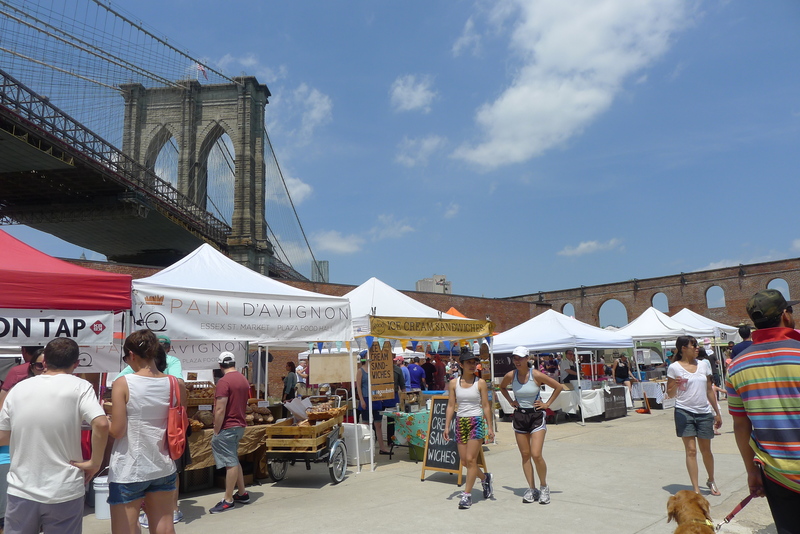 While Dumbo is harder for me to get to than Williamsburg, I actually much preferred this version of the food flea market. 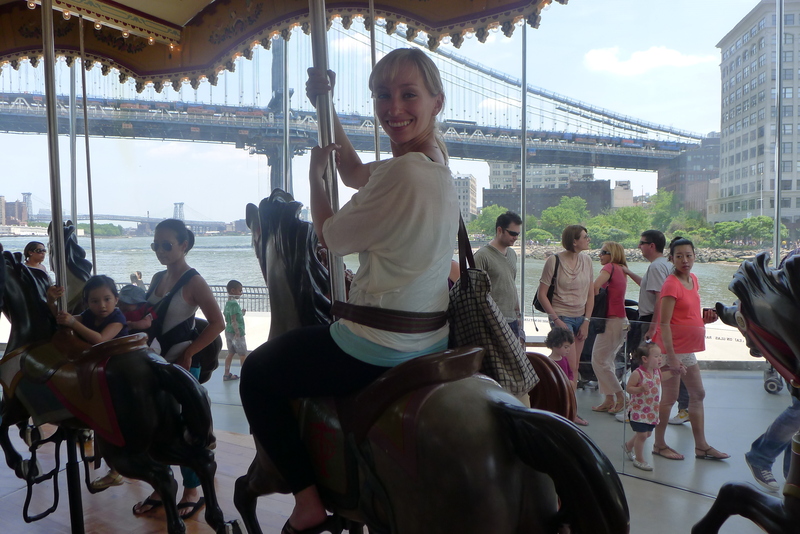 It was less busy and the waterfront was less crowded. 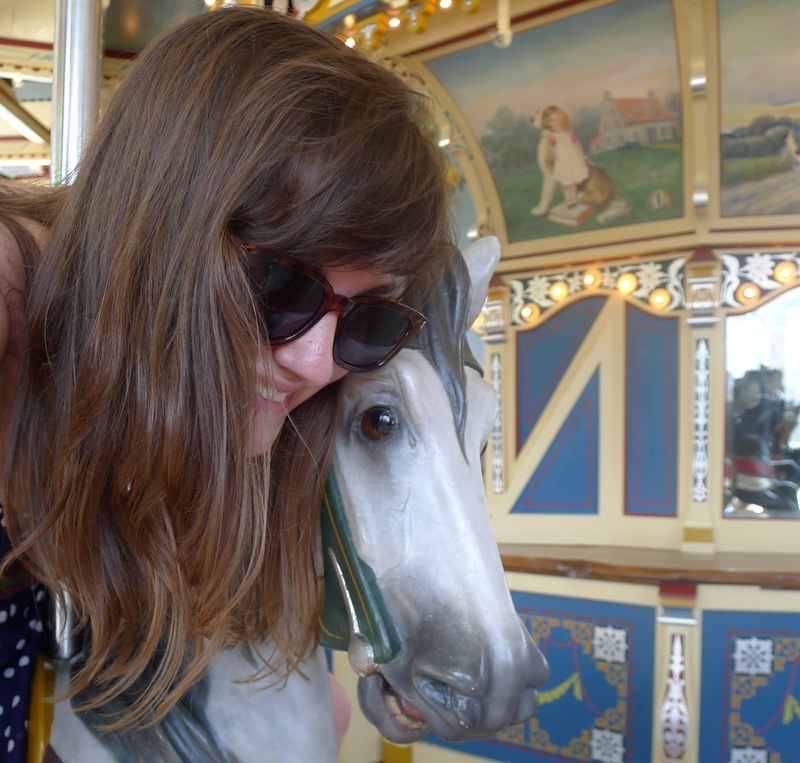 Plus it meant a spin on the ponies.